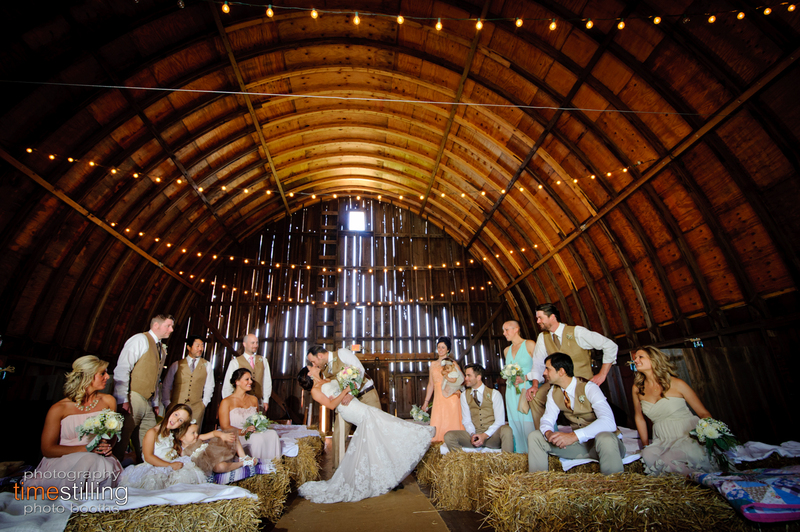 Every barn has a history… let the character of a barn shape your special day! 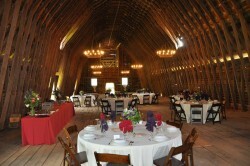 Barns are wonderful venues to hold a special event. By renting historic barn, you aren’t only having an unique venue, but are also helping preserve America’s disappearing rural heritage. Barns are available to rent for private social events, such as wedding receptions and corporate meetings, but some may also be rented for commercial and public events as well. Please consider contacting the barn owners below to learn more! Please note that listing on National Barn Alliance website does not imply endorsement; we are providing this as resource. If you are a barn owner and would like to list your barn, please contact us. 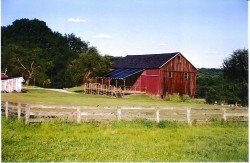 Established in 1742, Tyrone Farm is a 170 acre solar-powered farm in Northeastern Connecticut. The Chestnut Barn was constructed in the late 19th century. Its hand-hewn beams, wide plank floors, and wrought iron chandeliers provide a striking yet comfortable environment. Careful stewardship of this property is our priority, with an aim of preserving this farm for future generations. The spectacular view, distinctive Formal Garden, manicured lawns, intricate flower beds, and sprawling grounds provide the ideal setting for unforgettable weddings, functions, and parties. 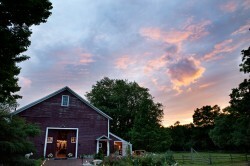 To visit this elegant barn, visit www.tyronefarm.com. Please contact Ian MacLaren at 860-928-3647 or info@tyronefarm.com. A true rustic chic wedding & event space located deep in the heart of the Bluegrass State. Located in south central Kentucky, The Barn at Cedar Grove sits on a farm that boasts over 200 acres of wooded acres and meadows. The property is surrounded by Russell Creek and features multiple sites for wedding ceremonies, both waterside and in open grassy areas, as well as endless scenic photo locations. To see more of this lovely space, visit: www.barnatcedargrove.com. Contact Amy Mitchum at 270-378-1915 or amy@barnatcedargrove.com. Hold your special event at the beautifully restored 110 year-old Byron Colby Barn in Grayslake, named for the local dairy farmer who built it in 1885. Scheduled for demolition in 1992, this historic dairy barn was instead carefully deconstructed and expertly rebuilt in Prairie Crossing, a nationally known conservation community. The Byron Colby Barn was named the 2011 Best Budget Wedding Venue by Chicago Magazine, and can be rented 7 days a week for elegant weddings, professional meetings, intimate concerts, and other events. The barn’s original timber framing and exposed wood floors create an inviting atmosphere, complete with gourmet kitchen and modern restrooms. The adjacent tree-lined Market Square brick courtyard provides exterior space for your special occasion, and the nearby Village Green Gazebo can be rented for an additional fee. To learn more, visit: www.prairiecrossing.com. Contact Stan Rosenburg at 847-543-1202 or bcbarn@prairiecrossing.com. The Barn at Allen Acres is an authentic Dairy Barn dating back to the 1920’s. 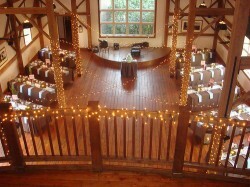 This rustic venue has an upstairs (hay mow) which has a 26 ft vaulted ceiling with exposed beams. We have kept as much of the original barn intact as possible through our quest to save this historic barn. The beauty of the barn with it’s very rustic and quaint charm, is the perfect place for an elegant country wedding. The Barn’s capacity is 150 people in the upstairs space. The barn sits on the edge of town, 5 minutes from hotels. To learn more, visit: www.thebarnatallenacres.com. Contact Karen Rogers at 847-687-3348 or thebarnatallenacres@gmail.com. Good Tymes Barn is a 100-year old refurbished dairy barn in the heart of Michigan’s thumb are. Book your “good tymes” here. The barn is available for both business and social occasions. To view this charming rustic barn, please visit: www.goodtymesbarns.net. Contact Connie Smith at 810-387-4344 or goodtymes@greatlakes.net. We are proud to offer these fully restored historic barns as a venue for weddings. The Historic Barns of Nipmoose (the Scottish Barn, German Barn and Corn Crib) are extraordinary examples of early timber framed structures. Positioned centrally on the 123 acre Nipmoose Farm in Buskirk, the three barns stand as testaments to America’s agricultural heritage. Please visit our website to learn about our unique barns www.nipmoosebarns.org. To receive our Events Packet, schedule a visit or ask questions, please contact Barb at historic@nipmoosebarns.org or 518-944-4414. The Conrad Botzum Farmstead, Cuyahoga Valley National Park. “Come Back to the Country” and visit The Conrad Botzum Farmstead in beautiful and scenic Cuyahoga Valley National Park. The farm is nestled back in the rolling hills of the Cuyahoga River Valley. If you like the country: the smell of fresh cut grass, lush, tree covered hillsides, deer peeking out of the woods, wild flowers and room to roam…call us and arrange a visit. Our 1898 Bank Barn has a 25′ x 45′ covered deck which provides easy access to the barn, and has a beautiful view of the North Meadow. Call us for information at 330-867-6681, or email us through our website at www.botzum.org to request a visit. The Inn at the Mt. Vernon Farm, Sperryville, VA is located in the beautiful Blue Ridge Mountains. It features a heritage 1917 dairy barn located on a 850-acre grass pastured livestock operation. The newly renovated 285′ barn offers a 550 square foot dance floor, wrought iron chandeliers and accommodates up to 300 guests. Please contact us toll free at 800.765.0604, Jen Perrot at jperrot@wildblue.net or visit www.theinnatmountvernonfarm.com. Interested in having your barn listed on this page? (If you are already a member of the NBA then a basic listing is free to you as a member benefit! For an extra $20, a photo of the barn is included with your information). If you have any questions, please contact us at info@barnalliance.org. Membership in the National Barn Alliance will be included with your photo and listing as well!